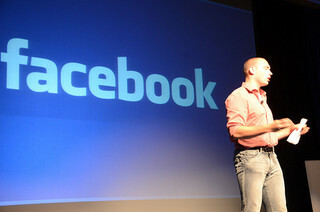 Facebook is always in hot water over privacy issues, and this time is no exception. The social media titan looks to lose over $100 million in revenue due to a settlement it just made to keep one such lawsuit from going to court. ‘Sponsored Stories’ are customised advertisements that appear on the users’ news feed view and often include the name of a friend who has liked a product or service. It works on the premise that if a friend likes a page, a product or a service, the ripple effect will tip others into clicking on that advertisement. Court documents show the value of a sponsored ad was at least twice, and up to three-times that of a standard ad, according to cited comments by Facebook chief operating officer Sheryl Sandberg. I remember seeing these first crop up, and the reactions of horror among my Facebook friends when they saw screencaps of their faces pushing big brands. Most of those who noticed it were caught completely unaware. Now, thanks to the settlement, they can opt out. At least they can opt out from some of it. There are roughly 153 million U.S. users of Facebook eligible to opt out of some of the Sponsored Story use of their data, and forecasters are expecting that tens of millions of them will do so. According to the testimony of an economist in the employ of the plaintiffs’ lawyers, Fernando Torres, giving users this options could hit Facebook in the pocketbook for $103 million in advertising revenue. Facebook will create an easily accessible mechanism that enables users to view the subset of their interactions and other content that have been displayed in Sponsored Stories. Facebook will further engineer settings to enable users, upon viewing the interactions and other content that have been used in Sponsored Stories, to control which of these interactions and other content are edible to appear in additional Sponsored Stories. I am sure this will not be the last time we see Facebook in the news over issues of this nature. As I have stated in prior posts, if you are not paying for a service, you are not the company’s actual customer. Using Facebook is a powerful approach to promotion, but, by using it, you do trade off a lot of your rights and privacy. What are your thoughts? Did the settlement go far enough? Did you find any Sponsored Stories using your image or data, and if so, what was your reaction? Let us know! Image by Thos003 (Thos Ballantyne), used under its Creative Commons license.